THE FREEHOLDERS RETURN in Book 7 of the nationally best-selling Freehold Universe series. A return to the libertarian world of Grainne and its battle against an Earth government that will not let the Freeholders remain free! Angie Kaneshiro never planned to be a spy. She was a veteran of the Freehold Forces of Grainne, and was now a tramp freighter crew-woman who hadn�t set foot on the dirt of a world in ten years. Angie was free, and that was the way she liked it. 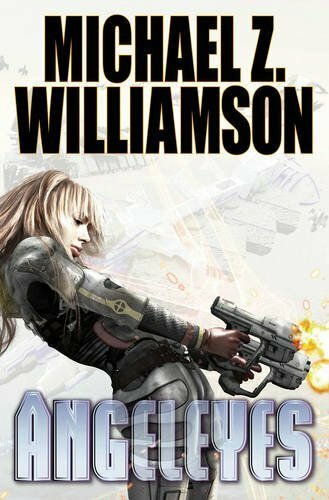 The UN forces may hold most of the stations, the docks, and the jump points, but now the Freehold of Grainne has its own lethal weapon: Angie Kaneshiro. The Intelligence branch sends a freighter crewed with Blazers, special forces troops. All Angie has to do is lead them through the holes. Responsibility for the explosions and wreckage will be theirs. But war is complicated, and heroes can be forged in its crucible�even if the hero turns out to be a tramp freighter crew-woman determined to fight for the freedom she loves.